Online video marketing is the latest internet phenomenon with YouTube being the second largest search engine platform behind Google. A recent study showed that 70.8% of internet users watch online videos daily. 48 hours of video are uploaded to You Tube every minute, resulting in nearly 8 years of content uploaded every day. It’s not enough to just have a great quality video with good content, you must optimise your videos to boost maximum viewing and get it ranked on the major search engines. 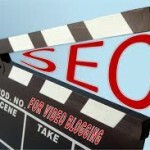 Why make your videos SEO friendly? Video SEO must be implemented to ensure that the search engines find your video content, index it, and display it when specific keywords are entered as search terms. With traditional web pages, Google crawls them to discover and index web content. Unfortunately, Google can’t read Flash very well (yet), and as a result, most video content is invisible to Google’s search crawlers, therefore it is essential to optimise the videos in every way we can.